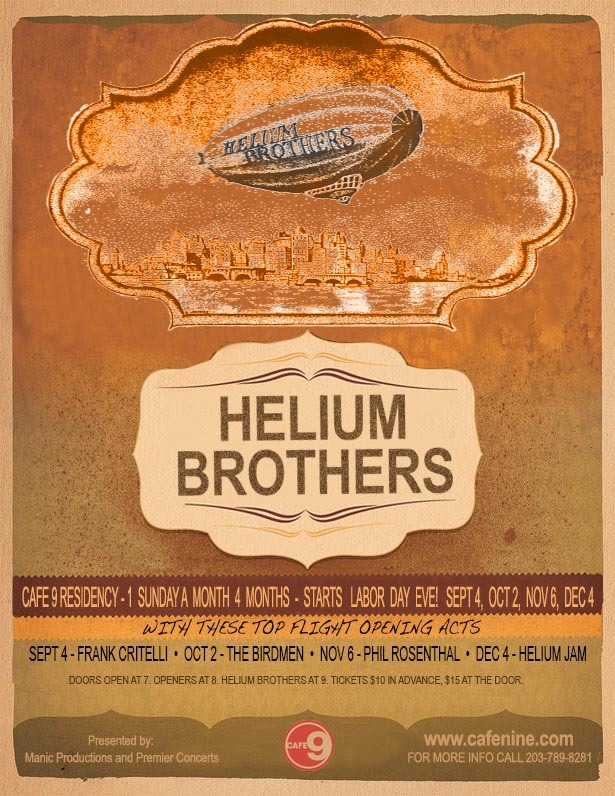 The Helium Brothers will be beginning a four month residency at the redoubtable Cafe 9 in New Haven. 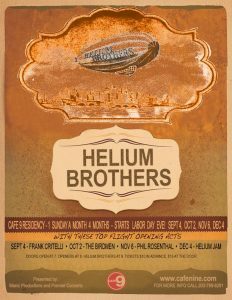 We will be there one Sunday each month beginning September 4, 2016, with exciting opening acts, and our usual blend of bluegrass, country jazz, swing, and current popular music, always including tight vocal harmonies and blazing, innovative instrumentals. We’re excited to hold down the fort for awhile at Cafe 9 and encourage our fans not to miss this opportunity. If you come to one, we’re pretty sure you won’t be able to resist coming to them all!